Findings of a recent study published in PAIN demonstrated what may lead to reductions in the neuropathic pain experienced by millions of patients suffering from neuropathy. University of Iowa researchers have published a study in the prestigious Journal of the International Association for the Study of Pain (PAIN) showing that NIAGEN® Nicotinamide Riboside (NR) ameliorates chemotherapy-induced peripheral neuropathy (CIPN) in an animal model. This news was announced today by ChromaDex Corporation. Results from this study suggest that NR may be an effective therapy in relieving chemotherapy induced peripheral neuropathy (CIPN) in humans. Access to the study was made available online on February 11, 2017. Currently, the American Society for Clinical Oncology considers the development of adjunctive therapy for the prevention and relief of CIPN as essential for patient care. This study provides an important proof of concept for the use of NR as a novel therapeutic approach in filling the unmet need for treatments that alleviate CIPN. Led by Dr. Donna Hammond, Ph.D., the research team at the University of Iowa demonstrated that treatment with NR increased blood levels of nicotinamide adenine dinucleotide (NAD+) by 50 percent after three weeks of daily administration. NR was able to prevent the development of tactile hypersensitivity induced by the chemotherapeutic paclitaxel and reverse well-established tactile hypersensitivity, while also blunting escape/avoidance behaviors. Furthermore, the prophylactic effect was sustained for at least two weeks after treatment with NR ceased. Dr. Marta Hamity, Ph.D., the lead study author, indicated that the team embarked on the study based on evidence that suggested that increasing levels of NAD+ in the cells may protect against neuronal injury. The study used female Sprague-Dawley rats, clinically relevant doses of paclitaxel and incorporated measures that quantify the impact of CIPN on quality of life. “This is significant because the pain associated with CIPN can increase as the [chemotherapy] dose escalates, and at times it reaches a point where the patient is no longer able to tolerate the effective doses,” explained Hammond. “The American Society of Clinical Oncology has issued a position paper that there is an unmet need for treatments that can alleviate CIPN,” stated Hammond. NR has been the subject of nearly 200 peer-reviewed journal publications and is currently at the center of over 100 collaborative studies between ChromaDex and leading universities and research institutions around the world such as the National Institute of Aging, MIT and the Scripps Research Institute representing an estimated $40-50 million in NR research. 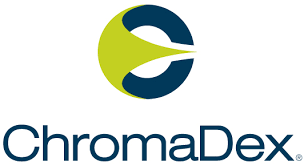 In November, 2016 ChromaDex announced that it met with FDA to gain Agency guidance on the requirements needed to successfully file an Investigational New Drug (IND) application to initiate a Phase I/II clinical trial in patients with Cockayne Syndrome. ChromaDex, being publicly traded on NASDAQ, gives the public an opportunity for investing in the business of science-based technologies for healthy aging and longevity. To date, ChromaDex has invested millions in safety, toxicology and human clinical trials on NR. Most of ChromaDex’s recent revenue growth has come from its proprietary ingredients, in particular NIAGEN®. ChromaDex’s NIAGEN® is the only commercially available form of NR and is supported by five patents issued and several pending, with patents rights acquired from Cornell University, Dartmouth College and Washington University. In addition to human clinical studies, ChromaDex is actively collaborating with numerous leading universities and research institutes studying the health benefits of NIAGEN®. Ddditional information about ChromaDex and NIAGEN®. Additional research and news about NR and NAD+. ChromaDex leverages its complementary business units to discover, acquire, develop and commercialize patented and proprietary ingredient technologies that address the dietary supplement, food, beverage, skin care and pharmaceutical markets. In addition to our ingredient technologies unit, we also have business units focused on natural product fine chemicals (known as “phytochemicals”), chemistry and analytical testing services, and product regulatory and safety consulting (known as Spherix Consulting). As a result of our relationships with leading universities and research institutions, we are able to discover and license early stage, IP-backed ingredient technologies. We then utilize our in-house chemistry, regulatory and safety consulting business units to develop commercially viable ingredients. Our ingredient portfolio is backed with clinical and scientific research, as well as extensive IP protection. Our portfolio of patented ingredient technologies includes NIAGEN® nicotinamide riboside; pTeroPure® pterostilbene; PURENERGY®, a caffeine-pTeroPure® co-crystal; IMMULINA™, a spirulina extract; and AnthOrigin™, anthocyanins derived from a domestically-produced, water-extracted purple corn.